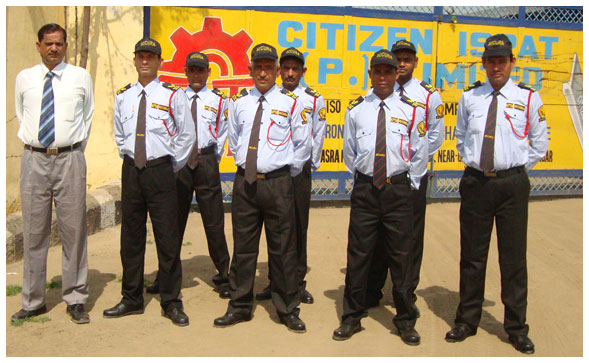 If you are looking for an efficient security provider to provide protection at your pubs and discotheques owing to the 'Ban on Bouncers' policy by Delhi police, then Secura Security is the right place from where you can hire well-trained and armed security guards. For a healthy social environ, as education is considered to be mandatory, so as for security guards, proper physical and professional training is necessary to provide unfailing protection to the clients. Physical Training: This is the most important and primary session that is carried out to ensure that the security guards become physically and mentally attentive to handle problematic situations. Physical training includes drill, making guards responsive to the odd situations, making their body capable to resist to small illness, crisp movements to be taken smartly to deal with trouble, how to handle violent cases with calmness etc. Sessions for development of Positive Attitude: The security guards are taught to develop an optimistic attitude within them to make them firm to handle bitter and most distressing situations with positivity. Also, personality development sessions are carried out that make the security guards a choice of various corporate offices and huge establishments. Skills to Handle Varied Situations: There are diverse departments where a security guard has to work. It may be the corporate sector, it can be government department or it can be security of a villa. Secura Security guards are prepared to provide the required and impeccable security that suits a particular environment. For that, skill training are given to them to let them know how and at what instance they have to react.